Home-brewed gadgets for farm and fun. Farm Show magazine has been compiling these DIY hacks for over three decades, a resource for farmers to borrow from and build on. It’s a treasure trove of ideas to implement on your own, or for inspiration in other pursuits. Consider Mark Himes of Beecher City, Illinois, who solved an expensive problem with nothing more than a doctor’s stethoscope, a PVC pipe and a styrofoam cup. A well-buried water pipe had sprung a leak underground somewhere on his property. Digging up the entire pipe was impractical and commercial leak detectors can go for as much as $1,000. But by taping a stethoscope to the bottom of the cup and attaching the cup to a five-foot-long piece of PVC pipe, Himes built a listening device that easily found the affected section of pipe through four feet of solid earth. Himes says it’s best to use his gadget on a calm day because it’s sensitive enough to pick up wind noise. While he hasn’t yet used it for other applications, he suspects it’ll also prove handy at finding moles and other underground pests, too. Dan and Terese Hall of the Redwood Falls, Minnesota area were looking for new ways to make a living after getting out of farming and started a business that found itself in high demand by providing people with custom fencing. Initially they were using an industrial fence post driver, but it was cumbersome and slow. 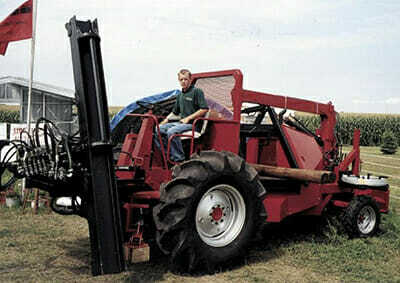 They wanted something that was self-propelled and could also carry the posts and fence-wire. 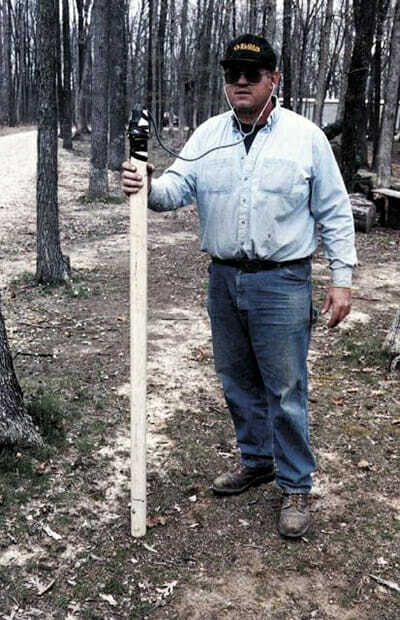 Mark Himes of Beecher City, Illinois with his homemade leak detector. Oversized tires from old farm equipment are made into water troughs. 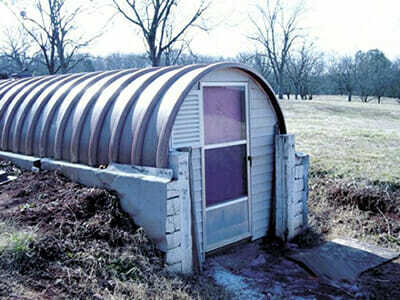 A greenhouse made by repurposing a fiberglass fuel tank. You don’t need a degree in engineering to create something useful, of course. 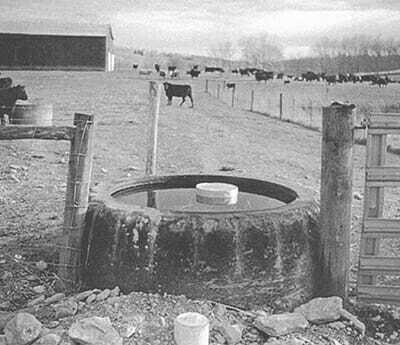 Owingsville, Kentucky’s Robert Bach saw a simple solution for replacing his livestock’s water troughs. He simply reappropriated oversized tires from old farm equipment (and we do mean oversized – the tire pictured here weighs about 3,500 pounds), partially buried them with a waterproof bottom of plastic sheeting, and filled them with water for his animals. Not only do they cost less, but they last longer than store-bought troughs. Just as a tire presents an easy conversion into a water trough, South Carolina’s John Nicholson Jr. saw a fiberglass fuel tank as a greenhouse in the making. He cut the 30-foot-long tube in half lengthwise, buried it in the side of a hill such that it became a makeshift roof, and covered the “floor” with crushed rock. The floor, if primitive, is an effective heat sink, so whatever he chooses to grow in the greenhouse (which he estimates cost a total cost $500) can flourish. 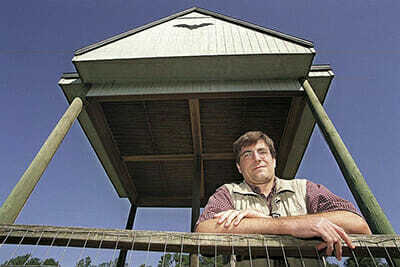 Mark Hostetler, a wildlife specialist at the University of Florida-Gainesville, built a “house” to attract bats for controlling the local insect population. Many species of insect are famously problematic for crop farmers, and bats will eat all kinds of creepy-crawlies that farmers would rather not have around. Hostetler researched how to attract bats and gave them a place to live full-time. Prior to setting up the bat house, he and his colleagues were using insecticide to fight back against bug pests, but they haven’t had to spray in years. Harnessing the effort of someone pedaling an exercise bike, a winch draws an elastic band back through a 20-foot-long PVC pipe, which serves as the “barrel” of the pumpkin gun. 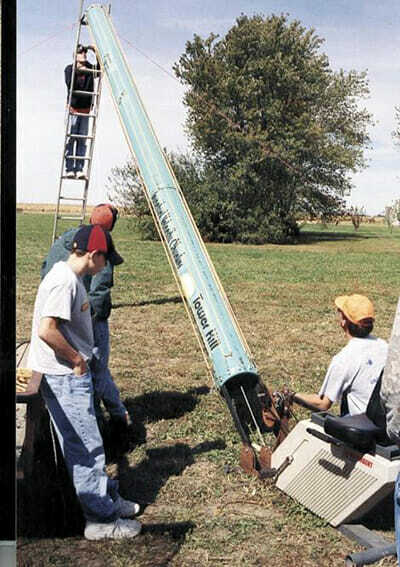 A pumpkin is loaded in, the winch is released, and everyone’s favorite Halloween produce item rockets through the air. Not only is Wilson and his students’ creation powerful, but it’s accurate as well. It launched a pumpkin that successfully hit its target: a car 763 feet away. Everyone should have a fun side project, and for the last 30 years, Kerry McLean of Walled Lake, Michigan (uncertain if he is actually a farmer) has been designing, building, and selling one-wheeled motorcycles. 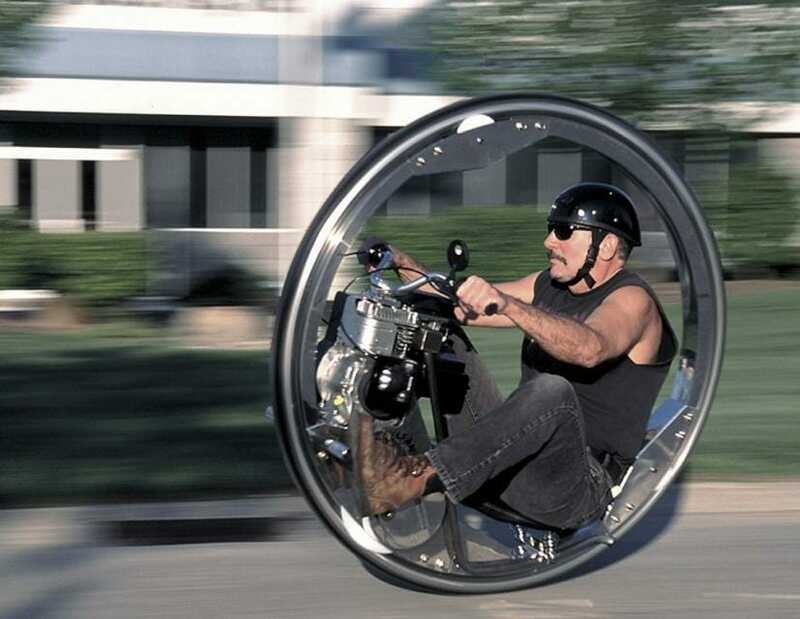 He calls them “monowheels” – the driver, as well as the engine and all the necessary hardware to turn the single wheel, sits within the circumference of the curious-looking vehicle as it moves down the road. He’s built an especially fast one that he calls the “Rocket Roadster,” surprisingly capable of speeds up to 100 miles per hour. But you’ll probably want to start with his $8,900 scaled-down model, which he’s safely ridden at 37 miles per hour. He describes the experience of riding these things as being akin to flying an airplane. In his time working on these surefire head-turners, he has built 14 and sold six. Be it out of necessity, for profit or simply for fun, those in the agricultural community will continue building surprising gadgets on their own, just as they always have. Who else looks at a styrofoam cup and stethoscope and sees them as the solution to an otherwise expensive problem?